Vinyl fences are becoming an increasingly preferred choice among the homeowners. They are free of any toxic chemicals and last very long. You do not need to pay anyone to put up a vinyl fence for your house. Also, they have many more advantages. This blog discusses some of them. The invention of vinyl came about in the 20th Century, and the first vinyl fence was made around the 1980s. Since then they have been one of the most preferred choices for fencing. The vinyl fence supplies come in plenty of colors as well as textures. They also come with the warranty for many years and can be easily recycled if they are no longer utilized. There are many fence suppliers available online. You can easily contact them and get your vinyl fence installed. 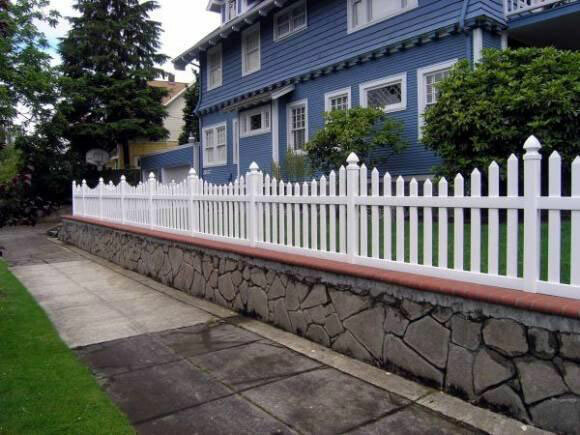 Today, these fences have become a popular alternative to wood and iron fences. This is mainly due to their flexibility and affordability. Also, there are many more advantages of installing vinyl fences. Let us discuss them. Strength: Compared to the wood fence, the vinyl fences are about five times stronger. Thus, if you wish to destroy a vinyl fence, you will have to put lot more effort. The vinyl fences can withstand exceptionally harsh weather conditions like wind storms and rains, unlike wood fence. Also, it is best to put the vinyl fence at seaside homes as they will not get corroded by coming in contact with salt water. Besides, it is advisable to use the vinyl fence for pet animals as they will not be able to chew the fence or injure themselves if they run through it. Easy to Maintain: You can keep your vinyl fence clean and sparkling by simply cleaning it with soap and water. Also, you will be free from the hassle of getting the fence re-painted as the color does not wear off. Since it does not get rusted, there is no need to put primer. Besides, you need not worry about your fence rotting due to attack from termites and insects. Easy to install: You can easily install the vinyl fence on your own. You simply have to insert the rails in the posts and fasten these posts firmly in the ground. This does not take much time. Thus, you will not require any professional to do your work. A great DIY project and your vinyl fence is ready. Economical: Vinyl fencing is less expensive compared to wood and iron fence. You do not have to pay any extra cost other than the cost of buying the product from the vinyl fence suppliers. Non-Toxic: There are no toxic chemicals used in the making of Vinyl fence. The vinyl is made using chlorine which is derived from salt and natural gas. Hence, you need not worry about polluting the environment. Thus, with the benefits mentioned above, it can be said that the vinyl fence supplies are ideal for homeowners who wish to put a fence around their house and forget about taking care of them.